The Scottish Environment Protection Agency (SEPA) is responsible for protecting and improving Scotland's unique and beautiful environment in ways that, as far as possible, creates social and economic benefit. Salix are looking for a motivated and committed professional to join their growing team of soil bioengineering and erosion control specialists. South East Rivers Trust are currently recruiting for a Project Development Team Manager/Project Development Officer. If you have or know of someone who has experience in designing river restoration projects/catchment works, please have a look at the vacancies on the SERT website. Wessex Chalk Stream and Rivers Trust (WCSRT) is a small and ambitious environmental charity dedicated to the protection and enhancement of rivers in the South of England, which includes the Hampshire Avon, the Dorset Stour, the Test, the Itchen and the Meon. 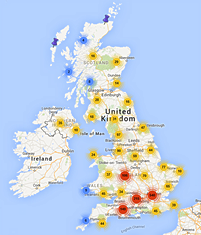 APEM Limited is Europe's largest specialist aquatic science consultancy. APEM offer their clients an integrated approach to every aspect of the investigation, scientific study and management of both freshwater and marine habitats and operate UK wide and internationally. Our consultant scientists are recognised experts in their fields. As a company they pride themselves on their commitment to scientific and client service excellence. Cain Bio-Engineering are seeking an Assistant Consultant for the assessment, design and delivery of freshwater and tidal-related habitat restoration works including; river restoration, erosion control, infrastructure and dam repairs and Wetland habitat enhancement. This is a full-time, permanent post. The company operates nationally, so the post will require occasional overnight stays away to service consultancy survey and design assignments. Salary £15,000+ pension contribution, mileage expenses and holiday entitlement of 5 weeks/year; initial fixed-term, 12-month contract. 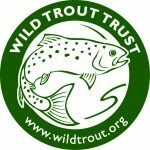 The Wild Trout Trust (WTT) is a registered charity dedicated to the practical conservation of the iconic brown trout, a living indicator of the health of the landscape around us.